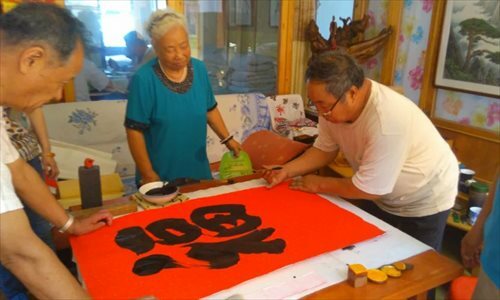 As China's society ages and the question of elderly care becomes more urgent, a particular group of old people, the so-called "educated youth," is dealing with the issue by living together to take care of each other. These people lived together during the Cultural Revolution (1966-76), but now they are coming back together voluntarily. Zhang Chengyong, 64, has noticed in recent years that the people of his generation have started talking more and more about trying to figure out who will look after them as they get older. Zhang is a retired zhiqing (educated youth) living in Tianjin Municipality. He was one of millions of young people sent to the countryside to work in the 1960s and the 70s. The zhiqing were sent to remote communities under Chairman Mao's "Up to the Mountains and Down to the Countryside" movement. It's estimated that there were 12 million zhiqing in all. When in the countryside, most labored in arduous conditions. After they got back to the cities, many kept in touch with the people they met. Around a decade ago, a group of retired zhiqing in Tianjin started getting together for reunions. They got together to watch shows, travel, take photos or discuss books, Zhang said. But many began to complain that while they are happy during their reunions, when they go home they are alone. Deciding to do something about this, Zhang rented Happiness Home, a three-story building in rural Tianjin. He hired help to renovate the place, to turn it into clubhouse for zhiqing to get together. Forty years after he was sent to work in the countryside, he has come back again. Zhang is not the only zhiqing who has decided to band together with other zhiqing in their old age. As China gets older and older, many elderly people are having to work out their own ways to look after each other. According to data from the China National Committee on Aging, from 2015 to 2035, the population of people over 60 in China will increase from 212 million to 418 million. Among them, over 60 percent are "empty nest" elderly. In other cities, some zhiqing that still feel a connection with each other through their shared experience are sharing another kind of experience together - old age. The idea is simple. As many of their children aren't around to take care of them, they take care of each other. 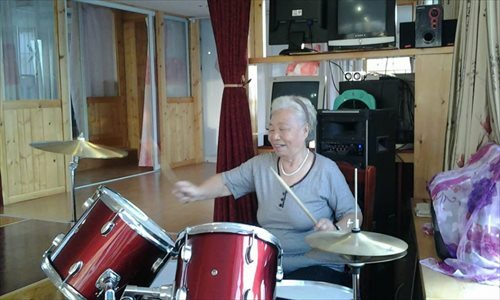 Just after Spring Festival this year, Lu Zhijun flew from Northeast China's Jilin Province to South China's Guangxi Zhuang Autonomous Region with her husband, where the couple and about 10 other retired people rented a three-story house in which they now live together. They worked together in rural Jilin from 1968 to 1971 before they were called to go back to the city, according to Jinqiu, a magazine about the lives of the elderly people run by the provincial government of Northwest China's Shaanxi Province. About three years ago, when one of them proposed that they live together, the others agreed to it at once. "Our kids are scattered all over the place, some in Beijing, some in Shanghai, some living by themselves in Jilin, they don't have time to take care of their parents. If these friends and I can live together, I think it's quite nice," she told Jinqiu magazine. Everybody is assigned a share of the work. They take turns cooking and cleaning, and everybody pitches in 500 yuan ($76) per month to cover living expenses. If someone gets sick, the others take care of them. Xu Fengying, who was a zhiqing in the 1970s, joined the management board of an online forum after he retired. He said the former zhiqing are a quite active community, and many want to spend time with each other, especially since they share a same experience. The forum he manages holds online and offline activities, such as lectures, tours and performances. The zhiqing on the forum share old photos, stories, as well as literature and movies about their generation. There is also a contact form, making it easier for people who shared the same experience to find each other. 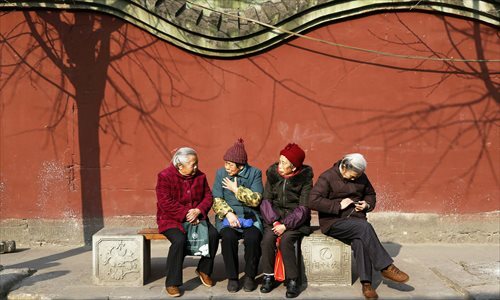 There has been lots of discussion about how to deal with the aging problem in China. Various solutions have been suggested, from ensuring you have children who can look after you or buying a house so you will not be homeless in your old age. However, few of these ideas have helped solve the care crisis facing China. News portal Ifeng.com reported that a temple in Shaxian, East China's Fujian Province, has taken in some elderly people because there's nobody to care for them. They have been abandoned by their own family members and have not received enough help from the government. Wang Jialin, the secretary general of the zhiqing association in Yangzhou, East China's Jiangsu Province, has written a report based on an investigation into the lives of more than 400 retired zhiqing. According to his report, about 85 percent of zhiqing are at the bottom of the society, with a low pension that's barely enough to meet their basic needs. Statistics show that most of the people sent to the countryside hadn't finished high school at the time. After the practice was abolished, not everybody went back to school. Some went straight to find blue-collar work. When they retired, the social welfare benefits, which are correlated with their wages, were meager. Another factor driving these elderly zhiqing to self-organize is that many of their nests are empty. Most zhiqing went back to the cities in 1978, and China's one-child policy began in 1979. Therefore, most only had one child, who cannot take care of them alone. Many are in need of help from outside their family. Wang cited the case of a couple, whose daughter works abroad. The couple are both retired zhiqing, with only a 2,000 yuan pension every month. When they got sick, there was nobody to take care of them. In the end, the local zhiqing association came to their aid, and members took turns cooking, cleaning and taking them to the hospital. In recent years, this new form of old age care has been widely reported. "Recently I've seen many of my chat groups and people on social media spreading information about old age care, I think that shows how important this is to the elderly," Zhang said. In Zhang's view, most zhiqing aren't so old that they need nursing care, but most are over 60 years old. And because they have lived through an era together and share common experiences, they are willing to spend time together and provide care for one another. At Happiness Home, Zhang has held many activities themed around zhiqing. They would often go traveling together, discuss medical treatments, health, art, and a variety of other topics. As the word spread, groups of these educated youth came from neighboring cities to join them. A commentary on Hunan-based news portal rednet.com questioned the ramifications of this type of old age care, saying it has problems of its own and cannot solve the issues China's society faces. Because this style of old age care only works with the shared experience that binds the former zhiqing together, it cannot help elderly people who are outside this group. Also, this mode of old age care mostly helps to diminish the sense of loneliness of people who are still mobile and largely healthy. If the elderly could really help take care of each other, there would be no need for caretakers or hospital workers anymore, the commentary said.